The single most requested cake at our family and friend gatherings is my father’s homemade pineapple upside down cake. It is the best pineapple upside down cake recipe, hands down. He’ll look for almost any excuse to make it, and we never get tired of it. This pineapple upside down cake is dense, like a sour cream pound cake, with ground almonds in the flour to give it even more substance and a slight almond flavor. The caramel pineapple topping is so good, you’ll want to pick every crumb. There are a couple of ways to do the topping. The easiest way is by melting brown sugar and butter. My father will also often make a caramel base from caramelizing white sugar (instructions at the end of the recipe for this alternative). If you don't have a high-sided 10-inch cake pan, you might try making this in a springform pan. Line the inside with foil so the caramel doesn't leak, and bake on a rimmed baking sheet just in case it does. 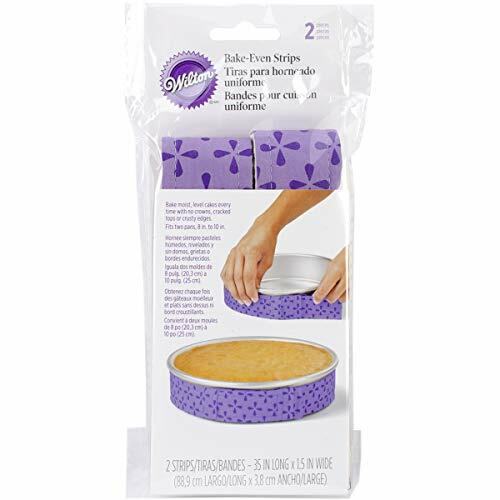 2 Pour into pan, top with pineapple slices: Generously grease (with butter or cooking spray) a 10-inch diameter stick-free cake pan with 2-inch high sides. Arrange pineapple slices in a single layer on top of the caramel mixture. 3 Preheat oven to 325° F.
4 Make cake batter: Whisk the flours, ground almonds, baking powder, and salt in a large mixing bowl. In a separate bowl, use an electric mixer to beat the sugar and butter together until light. Add eggs one at a time, beating after each addition. Beat in the vanilla. Add dry ingredients alternately with sour cream in 2 additions each, beating well after each addition. 5 Pour cake batter over caramel and pineapple in pan. 6 Bake the cake at 325°F until a tester inserted into the center comes out clean, about 1 hour to 1 hour 15 minutes. 7 Turn out cake: Cool cake in pan on a rack for 5 minutes. Turn cake out onto a platter. Serve warm or at room temperature. * Note an alternative topping: 2 cups granulated sugar, 1/2 cup water, 1/4 cup butter. Combine sugar and water in a medium saucepan. Heat on medium until all sugar is dissolved. Increase heat to medium high and bring to a boil. Boil until syrup becomes warm amber in color (about 10 minutes). Add 1/4 cup butter, carefully as it will foam up a bit. Swirl the pan so that the butter is all incorporated, stirring with a wooden spoon if necessary. Remove from heat and pour out into cake pan. Continue with recipe as noted. Hello! All photos and content are copyright protected. Please do not use our photos without prior written permission. If you wish to republish this recipe, please rewrite the recipe in your own unique words and link back to Pineapple Upside Down Cake on Simply Recipes. Thank you! Really 10″ pan – any way you can downsize to a 9″ pan. No local source for 10″ – nonstick round cake pan. This recipe sounds amazing and look forward to trying it very soon. If I was to use only cake flour, do you recommend removing the sour cream? Or should I keep the recipe as is? Also, what would be the measurement using only cake flour please? Hi Sara, I recommend making the recipe as directed. It’s one of our favorites, I wouldn’t change a thing. I baked this cake for my husband, who rated this recipe to be best ever. Thank you for sharing it. Easy recipe! I made it for my husband’s birthday, he and the whole family loved it. So moist, top is beautiful! Thanks. I’ve made this cake several times. It’s so moist and delicious. Thank you for sharing your awesome recipe. I appreciate that it’s from scratch no box cake mix. I’m not a baker and wanted something delicious for a friend’s birthday. This recipe resulted in a sumptuous delight. The cake was so moist and everyone was terribly impressed. Sending thanks to you AND to your dad! Love this cake! The ground almonds add flavor and texture. I think the cake is especially delicious when eaten warm. Will make this again! This is my favorite cake now. The cake batter has great flavor and after making it ywice, I decided to reduce rhe sugar for the caramel to 1/2 cup…and I tend to be a sweets fanatic but the frosting for the recipe was too dense. Yet still 5 stars. Also, the recipe does well in a bundt cake pan too , especially if you dont have a spring pan or otherwise deep pan. This is a seriously divine cake. So many of the upside down recipes available out there are the boring “use a cake mix” as a base format. I love this one from scratch, start to finish. It’s a very rich rendition with tons of butter, copious amounts of sugar and the sour cream (think: special occasions, moderation). The addition of cake flour and almond flour (ground almonds) makes it extra moist. I had Italian chestnut flour on hand and it was a perfect substitute for the almonds. The only other changes I made were to use my 10″ skillet that I greased with extra virgin coconut oil and I added some tart cherries from my tree. Oh my gosh – it was perfect. And it came out of the skillet just fine with no major mess. Love it! I’ve made this probably 50 times since 2010. A belated thank you for this wonderful recipe. When my stepfather was dying this is the only thing he would eat, so I was making 3 per week. It brought him a lot of joy during a very difficult time. Hello Mary Anne, thank you for sharing your story. I’m so happy that this cake was able to offer your stepfather some happiness. Blessings to you. Hi, what is cake flour? And how important is it vs. regular flour? I don’t want to buy too much stuff if it’s not critical. I’m just a guy, not a baker, help me out, please. Hi, Robert! Emma here, managing editor. Cake flour has a lower protein content than regular flour, which helps make cakes with a more delicate, tender crumb. You can substitute regular flour, but the cake will likely be a little more dense and firm, closer to quick bread (like banana bread) than actual cake. If you do use regular flour, be very careful not to over-mix or the cake will be chewy — mix only until you can see no more dry flour. Hope this helps! I just made this cake with fresh pineapple chunks and it is the most delicious Upside Down Cake I have ever made! The cake is moist and flavorful and the brown sugar and butter caramel is just the right sweetness to enhance the juicy pineapple chunks! I was worried when I first turned it over and it was kind of runny in the middle of the caramel, so I poked the cake with a skewer hoping that all that goodness would just soak through to the cake like a poke cake. Not to worry though, the caramel firmed up as it cooled and it really is so delectable and yummy and perfect!! This is the cake I imagine when I think of really good Pineapple Upside Down Cake!! I had one issue thought on the bottom pineapple layer there were pockets of almost unbaked very gooey batter even though the rest of the cake was fully cooked….so I used a spoon and scooped it out. Should I bake it for longer with just the bottom heat setting towards the end for it to cook more? Am scared that it will burn the caramel layer. Or will it help if I layered the bottom with baking paper. Any advice would be great as I would love for the pineapple layer to look pretty like yours in the picture!! Hello Ambika, sounds like you just needed to cook the cake longer if there was still some unbaked batter. I wouldn’t worry about the caramel layer, it should be fine unless you seriously overcook the cake. it. This recipe will now be my go to for any kind of upside down cake..it’s too good! Made this cake the night before serving in a rectangular 13x19x2 and followed recipe to a tee- it was perfectly baked and very delicious however, found it to be dense & very moist in texture- is this related to the cake pan size? Hi Lora, it is quite dense and moist, which is one of the reasons we love it! Exactly it’s the best cake ever!!!!! This is my husbands favorite cake, I will bake it tomorrow for his birthday, he will be so happy. I’ve baked this cake about a dozen times, I’ve always used regular flour and salted butter and it has always come out perfectly. We always have it at Thanksgiving and Christmas. Yummy can’t wait until tomorrow! You might try Greek yogurt.